Meanwhile, in India, the country's richest man rolls out free 4g Network to 1 Billion people. The cost? $20bn USD. Go Figure, tax dodgers. 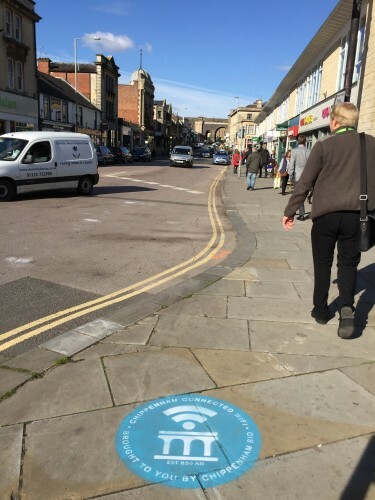 Chippenham's smart and forward thinking leaders asked us to publicise the Free Wifi launch with chalk Advertising. The Multi-Coloured, long-lasting, adverts will work on any surface, they don't rub off with rain or wet feet and they enhance the local area. Pretty smart ay?